While producer Michael Bay gets most of the credit for being the driving force behind Teenage Mutant Ninja Turtles, Jonathan Liebesman actually directed the movie. And he proves that in a new featurette, where the man opens up about his past history with the turtles, and provides the true definition behind 'Turtle Power'. We also get introduced to some of the human actors behind the turtles, including Jeremy Howard (Donatello), Alan Ritchson (Raphael), Megan Fox (April) and Will Arnett (Vern). We also get plenty of new footage as the production team continues getting new shots completed on the eve of Teenage Mutant Ninja Turtles's release in theaters. 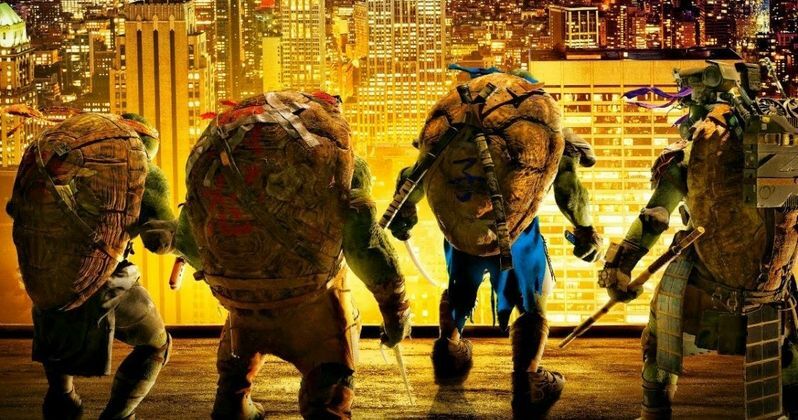 This latest Ninja Turtles featurette arrives along with a new international poster that finds our four brothers facing the city they love so much.